A $500,000 grant from the National Endowment for the Humanities will help the Cincinnati Art Museum renovate and reinstall its collection of art and archaeological material from the ancient Near East. 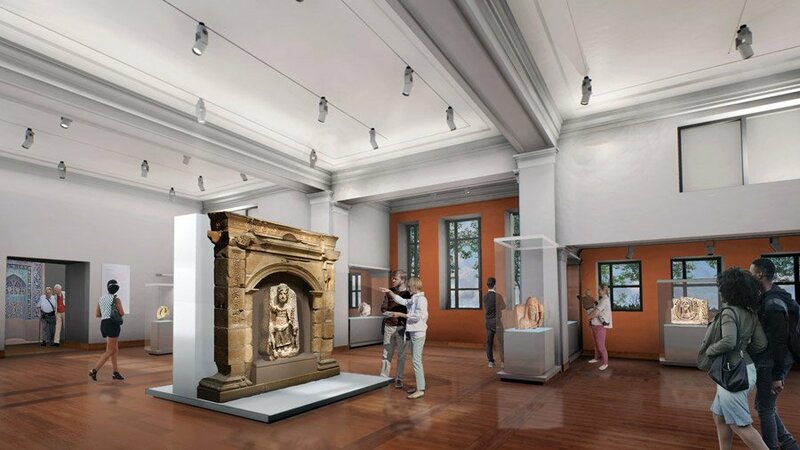 The Infrastructure and Capacity-Building Challenge Grant will help fund a project that includes a complete re-envisioning of the existing 2,800-square-foot gallery, known as the Hanna Wing. Planned changes include the addition of LED lighting, new flooring, casework and natural light. The museum’s Near East collections contain more than 1,000 objects, with the monumental architectural fragments from Khirbet et-Tannur, a large Nabataean temple complex located 70 miles north of Petra in present-day Jordan, at its center. Khirbet et-Tannur was excavated in 1937 by archaeologist and Cincinnati native Nelson Glueck in conjunction with the Department of Antiquities of Transjordan. All findings were equally divided. The Cincinnati Art Museum has the largest collection of Nabataean sculpture outside of Jordan. Most of the collection has been in storage since 2004 due to lack of gallery space.